Paper is all around us, sometimes we don’t have a choice about receiving it, but often we do. 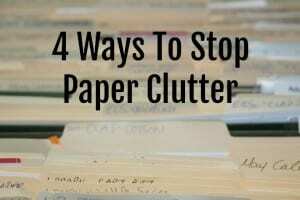 Here are some ideas for eliminating paper clutter. All are super easy, try one or try all. You have nothing to lose except clutter! Sign up for e-statements. It’s secure and saves massive amounts of paper. No more pesky, overstuffed envelopes to open, you will just need to download and name the documents in a way that makes sense to you. Remember to be consistent in your format. You want to be able to identify at a glance what any particular document is. File statements on your computer in the same way you would in the physical world. If you are new to going paperless, here’s quick primer to help you get started. Sign up to make payments online. You can still pay through your regular bank account, but it’s faster and easier than writing out checks. You will save money by doing this as well, at the minimum the price of a stamp. At the same time you will gain peace of mind because you will see your receipt immediately after making a payment. Do you subscribe to multiple magazines, trade publications and/or newsletters that you never get around to reading? If that’s the case you are simply allowing clutter into your space. You should only keep the subscriptions you read on a regular basis. Remember, most publishers offer an online version and there is always the library, so the information will still be available, you are just not letting it clutter up your home. Catalogs often come four or five at a time. Ask to be removed from the mailing list. It takes a little effort to make this happen. You can call the customer service number or use a service like Catalog Choice or DMA Choice. The investment is worth it because you will doing something good for yourself and the environment. Even when you’ve managed some of the inflow, you’ll still likely have paper to deal with. We can’t stop the mail, can we? Don’t worry though, managing paper is actually fairly easy (maybe not fun, but it’s much simpler than you might imagine). Did you know there are really only three things you can do with any piece of paper? Anytime we can cut down on the paper that comes into our space the better off we will be. It means less mess and less stress. Ultimately it means more time to focus on other things, like fun! Questions are always welcome, so feel free to use the comment section below, or better yet, pop over to our private group page and ask away. Our group is a great place to find support and inspiration, plus tips and members only goodies! 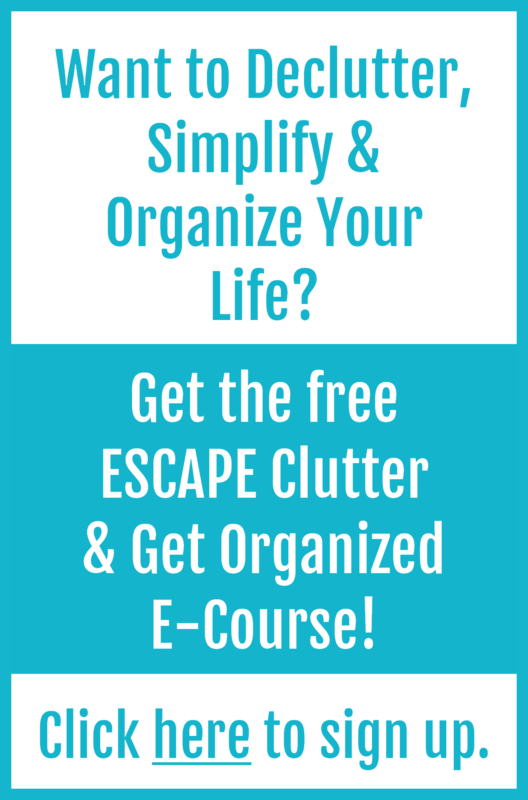 If you haven’t done so already, I invite you to get the ESCAPE Clutter and Get Organized E-Course. It’s a free resource to help you declutter your life, organize your space and manage your time.